One of the major technological advances over the past 2 years has been the major growth in cloud storage. Cloud storage is defined by Wikipedia as “a model of networked online storage where data is stored on virtualized pools of storage which are generally hosted by third parties”. What this means is your data is stored on large data servers and transferred over the internet, which is accessible from everywhere with internet connectivity. There has been a massive growth in the number of companies offering these services, with notable examples including Apple’s iCloud, Box.net, SugarSync, Mozy, Google Docs, and the focus of this particular article, Dropbox. 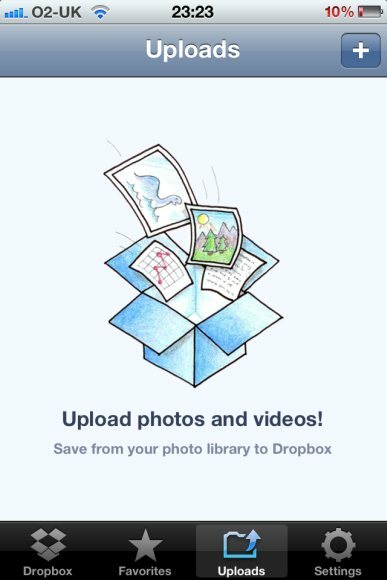 Dropbox is a web-based file hosting service that uses cloud storage to enable users to store and share files and folders across the internet using active file synchronization. Signing up for the basic Dropbox service is free and gives each user 2GB of online storage space. 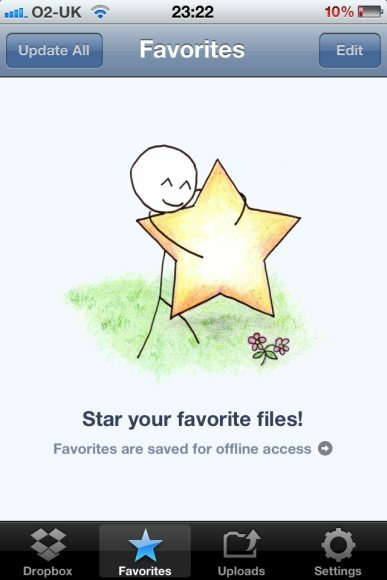 The attraction of Dropbox is the downloadable client which creates a folder on your computer called ‘Dropbox’. Any files or folders placed within this folder will be automatically uploaded to Dropbox’s servers (as long as you have adequate space). This folder (and all its contents) are now accessible from a range of sources including the official Dropbox Apps for iOS, Android, Windows Phone 7, Blackberry as well as a web based client which is accessed via Dropbox.com. The attraction of Dropbox is it is a hassle free method of carrying around all your files which can be downloaded and viewed on a mobile device at any time. This is done by using the Dropbox folder as ‘My Documents’ and therefore any documents located here are accessible from anywhere. Dropbox maintains a folder on your computer which is automatically synced over the internet to Dropbox. Anything placed in this folder such as PDFs, documents, photos is accessible using the free Dropbox app on your iPad (or other mobile device). The syncing is bi-directional and carried out automatically, meaning that if you add a PDF of a particular Sepsis Protocol on your home desktop, it will be available for viewing on your iPad without any extra work. 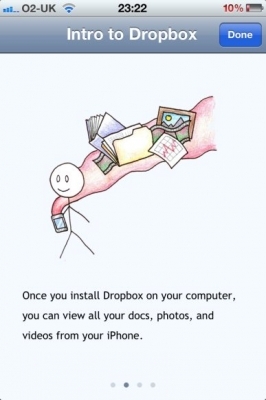 Similarly, if you upload a file into the mobile Dropbox app, then it will appear on your home computer automatically, without any extra work. The mobile Dropbox app acts as a file viewer and can view many different file types which allows easy access to all your files on the go. Another major attraction is the simple method of sharing files using Dropbox. It is possible to create an individual link to any document in a particular Dropbox folder, which can then be shared with anyone. Alternatively, it is possible to share a whole folder with someone whereby the contents of that folder will be synchronized between both computers automatically. So how can all this be applied to medicine and physicians? The immediate attraction of Dropbox for healthcare professionals is the ability to access files and folders from anywhere. It is no longer necessary to carry around a USB stick to transfer documents as these can be easily uploaded using the web interface on any computer. Letters and documents can be written and edited from anywhere which is always useful for busy physicians on the go. Often times we do not have access to a dedicated computer or laptop since we are often moving from floor to floor in a hospital. The main reason that Dropbox is an essential app is it serves a unique role linking your files and folders on your home computer to your mobile medical device over the air. Apple has not included a robust file management system on its iOS devices, therefore it can be challenging to transfer documents both to and from these devices. Many apps now use Dropbox as a primary means to import and export files. 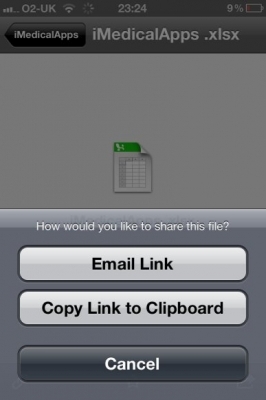 For example, the GoodReader PDF management app can access your Dropbox account and sync files, folders and any annotations made on your iDevice to your home computer, saving the hassle of transferring each document manually. Lectures can be downloaded, annotated and automatically uploaded, keeping files uncluttered and easy to manage. 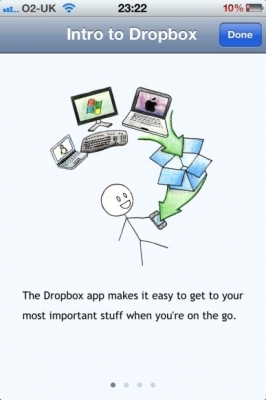 Dropbox is the easiest way to transfer files between your iDevices. Dropbox is the all important wireless link between your files and your mobile device. One area where Dropbox could have a significant impact is medical literature management. Wouldn’t it be useful to keep your collections of academic papers, lecture notes and interesting case reports in one central location that ensures your files are always up to date regardless of what device you are using (mobile or desktop)? 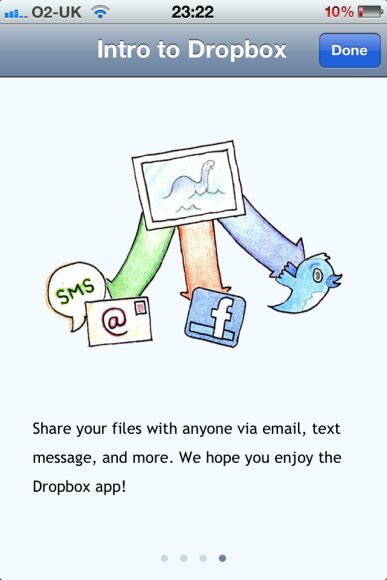 Dropbox allows you to accomplish this and much more. Stay tuned for our upcoming review of PDF management apps. So where does Dropbox fall short? As with all cloud storage options, there are two major concerns: Reliability and Security. It is difficult to entrust your data to a company such as Dropbox if you are concerned you may not be able to access it when you want — you certainly want guarantees that no else is able to access it. One of the main precautions to take when using cloud storage is to be careful when uploading sensitive information. This is particularly relevant to healthcare professionals given the absolute reliance and trust of patient confidentiality. Dropbox, like many providers, offers secure 256bit encryption which should be adequate to protect your data, but it essentially comes down to the individuals ability to trust an external company with their sensitive data. Cloud storage and cloud based computing are going to be the next big thing in regards to technological advancement. We can already see this being introduced with iCloud storing documents, photos, calendars and email in the ‘cloud’. Features such as Apple’s Siri and Amazon’s Silk web browser are offloading heavy computer processing to servers in the cloud in order to reduce the CPU load on the individual mobile devices. Taking advantage of a cloud storage service such as Dropbox will allow health care providers to improve productivity and help improve file management (especially in regards to medical literature) — providing that all important link between desktop and mobile device. The basic 2GB online storage is free and there are a number of paid packages available to increase the space as needed. Dropbox also run a referral system allowing you to get extra space for free when you invite your friends/colleagues. All the apps for the mobile devices are free. Another attractive option for medical literature management is Zotero, a reference-manager like application which allows for quick capturing of reference data from websites such as pubmed that can be synced between computers as well as be accessed through a web-interface. For large collections of papers it allows for much better organisation, however the main downside is that they only provide 100mb of pdf storage for free. Wouter, I’m a huge fan of Zotero, but haven’t used it in at least over a year. It seems like they have made some major upgrades from their initial offerings. We’ll have to check it out at iMA and definitely review the product. Thanks for mentioning it. Citrix Sharefile is enterprise based. I use both Dropbox and Evernote. Both powerful mobile apps. Nothing is secure from crackers, so be safe. Make sure you can wipe your devices if stolen, and do not put identity information on cloud servers. Physicians should not use cloud based systems with patient data. Data security and data protection levels are not acceptable! I’m appalled by the lack of concern for the security of confidential data shown here. I came by this article precisely because I was looking for something on an area where storing data in the cloud is clearly something to be treated with great caution. As well as showing respect for your patients, you should consider the substantial liability you are laying yourself open to, as this is quite clearly not adequate. Medical professionals are typically not data security experts. Guidelines on acceptable practices in this area are sorely needed. Articles like this one don’t count though, being seriously misleading. I submit that this article is so bad that it should be taken offline lest it mislead anyone. No where is it mentioned patient information is stored. Rather, we use dropbox to access our medical literature and reference data. Please read the entire posts to understand this. As physicians, we have massive amounts of reading we have to keep up with, and reading about things such as heart failure and other diseases does not require to use a HIPAA compliant platform. Just because we are physicians doesn’t mean our personal reading material that contains no patient information has to be HIPAA complaint. If you’re only storing non-confidential reading material, then that changes things significantly. If that’s what you are talking about though then how do the comments on security in the article make sense? Rather than discussing whether 256 bit encryption is adequate to protect sensitive data, why not point out that the storage is entirely unencrypted, dropbox has a record of recent large scale security failure, and therefore sensitive data should not be stopped in unencrypted cloud storage like dropbox at all. There are encrypted alternatives like Wuala and Spideroak. I don’t know any good ones for sharing files with colleagues, but for sharing securely between your own computers these work well. Thank you for the strong mention of not using Dropbox for identifiable info. There are many providers who are not geeks who would read this and see only the convenience factor. The author should at least have made the point.